MAN - Just Beauty Products, Inc.
Alter Ego MAN After Shave Balm 150 ml / 5.07 oz. Alter Ego MAN After Shave Balm 150 ml / 5.07 oz. After-Shaving balm perfect for delicate and sensitive skins. 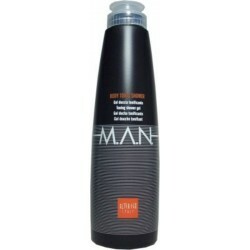 Alter Ego Body Tonic MAN Shower Gel 250 ml / 8.45 oz. Toning hair and body shower gel perfect for short and super short hair or bald.